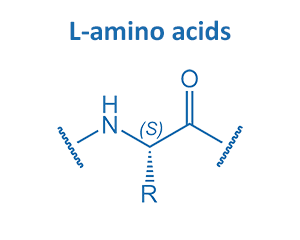 Opposite stereochemistry in the α-position of essential amino acids produces interesting new features. 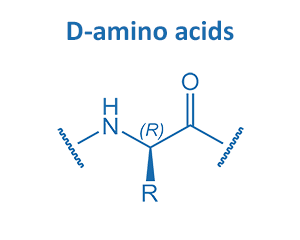 Firstly, D-amino acids increase the stability of peptides against proteases. Secondly, they can create special secondary structures, e.g. turn structures. BIOSYNTAN is able to incorporate any D-amino acid in your peptide corresponding to the set of essential amino acids.